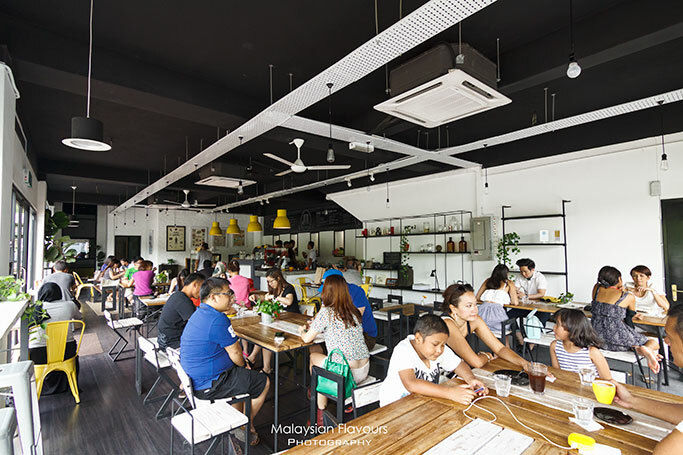 Located at the end corner of Jalan Sri Hartamas 8, Kuala Lumpur, Podgy and the Banker survives well in the midst of coffee places that are still blooming at every corners, growing constantly to serve patrons from as early as 9am daily. 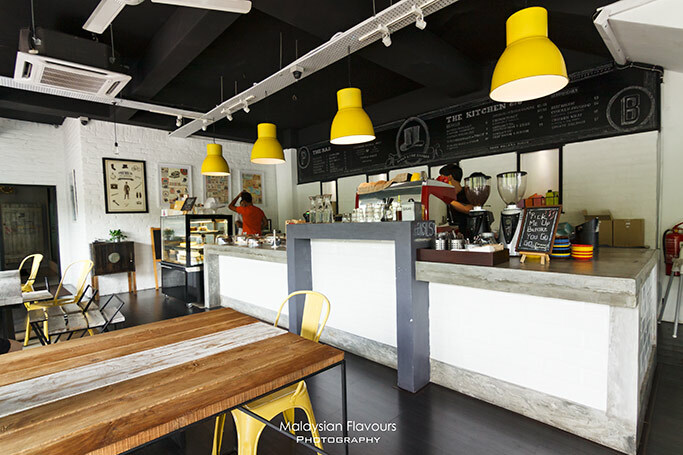 This neighbourhood cafe houses about 20 tables, small but doesn’t look crowded and cramp in sight, thanks to the whole stretch of French window that draws ample of natural lights during the day, turning the cafe into brighter, bigger and more inviting space. Further adorned with small decorative items, all brimming at the customized rack. Walls painted in white, dark wooden flooring, wooden table top supported by black steel, coupled with stool in washed out tone for a raw, rustic feel. Semi self service, so take the initiative to place your order at the counter, get your own beautifully drawn coffee when they call out your name; while food will be served to you once ready. 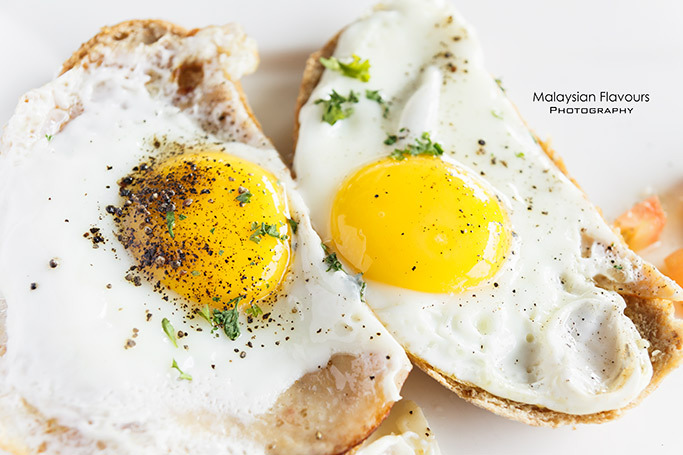 Choices of food is limit to simple and straight forward breakfast which comes from the mix and match of bread, egg, chicken ham, mushroom or smoked salmon. Savoury pie, croissant, quiche and sweet dessert like chocolate cakes are available too. 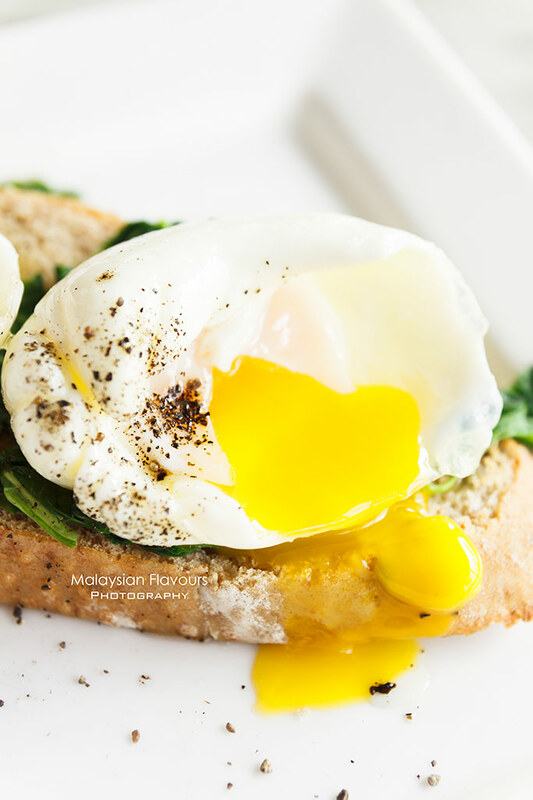 Two round, beautifully poached eggs sit on top of crisp at the edge, fluffy at the center toasted bread, layered with healthy touch of green spinach in between. 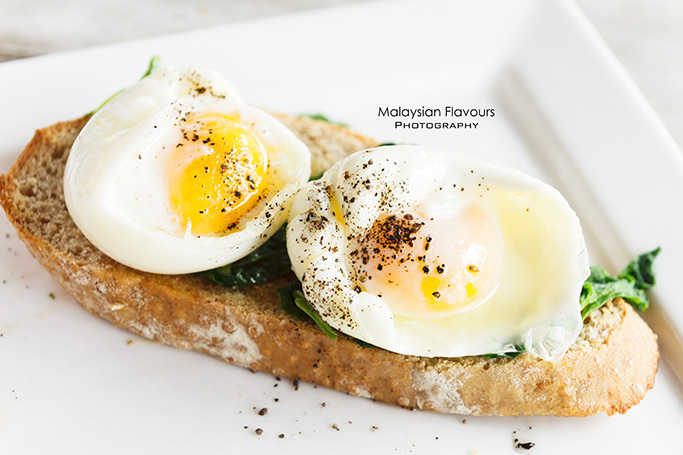 Fork through the egg and enjoy runny, creamy egg yolk oozing out, moisten the toast to another delicious level. 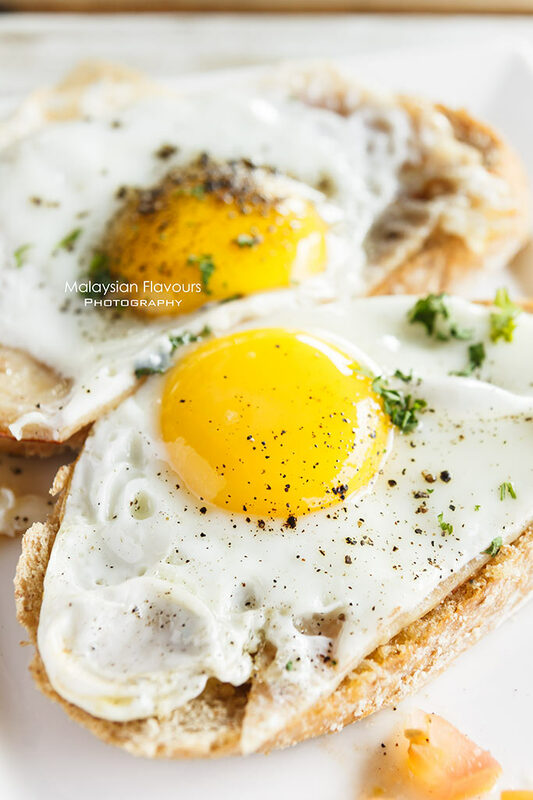 Add some meat to your breakfast platter with bruschetta, chicken ham and eggs, which features two sunny side up served over toasted bread, sandwiched with chicken ham, sprinkled with a pinch of black pepper on top. 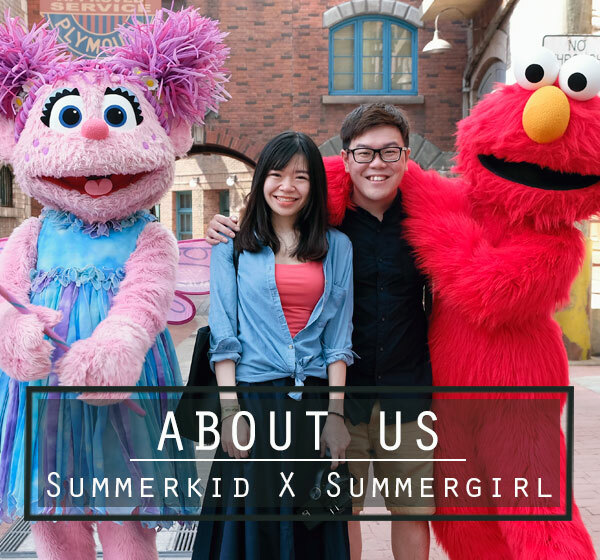 Standard and not much surprise, as you can easily resemble back at home. But yet, we enjoy a lot, as the atmosphere counts. 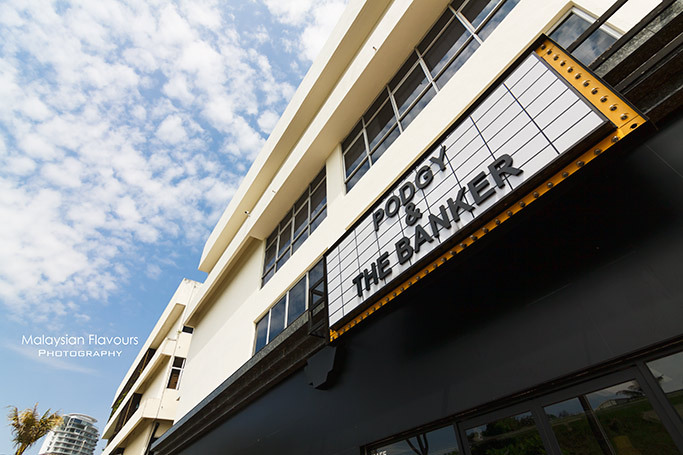 Podgy & The Banker uses coffee bean from Sumatra mandheling, Kudanas-Coffex. 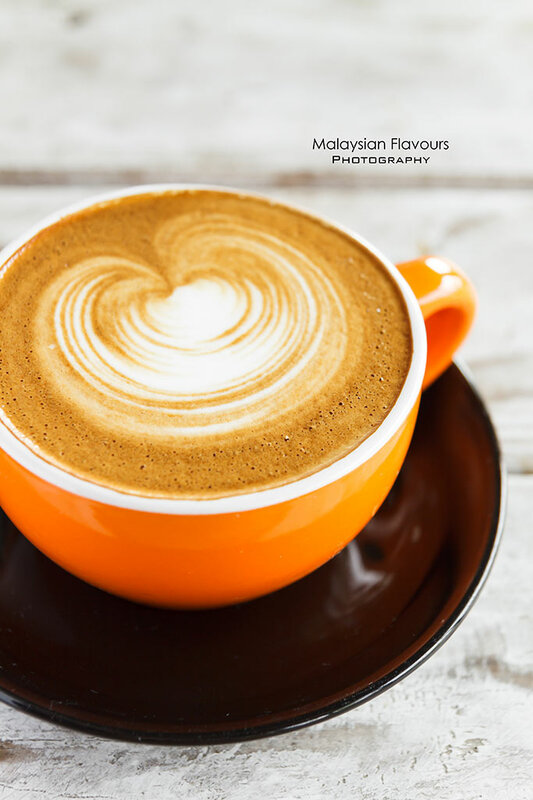 Our cappuccino tastes smooth to the palate with pronounced bitterness. The good: no service tax, good environment. The bad: Busy, lots of customers, not the choice if you are looking for a quiet hang out.